You can’t just stick a SALE sign in your yard and wait for offers to pile up at your door. Those days disappeared about five years ago! if you want to maximize your home sale profits and minimize the days on market, you really need to put your best foot forward from Day #1 of the listing. This requires you to transform the property from a home that reflects your taste, personality, and needs to a home with the potential to satisfy the taste, personality, and needs of potential buyers. Home buyers want to imagine themselves living in your home and, frankly, it’s not easy for them to do so if the space feels cluttered to them. Take half the books off your shelves, remove half the clothes from your closet, take everything off the kitchen counters, desks, dresser-tops and other flat surfaces; make room for a car in your garage; remove personal pictures and your cherished ceramic pig collection. 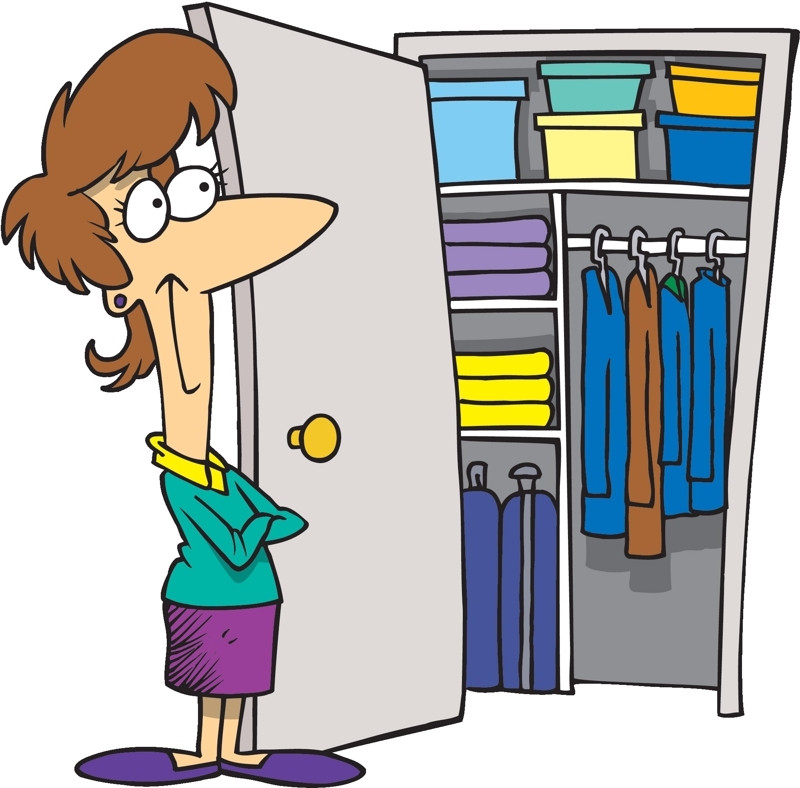 Then organize any remaining items by storing them in attractive containers that aren’t visible without opening a closet door. It doesn’t matter to your home sale whether you trash it, donate it, pack it, or hide it in your neighbor’s attic… just simplify! Most of us have too much “stuff,” so this is not a commentary on your personal decorating style or housekeeping. P.S. – De-clutter exterior spaces, too, such as your yard, storage shed, porch, and garage. Again… home buyers want to imagine themselves living in your home and they don’t want to Be surrounded by dirt and grime… Or even fingerprints on the walls. The ideal solution is to replace worn and stained carpet, but at least clean it. Wash your windows inside and out, bathroom mirrors, and any glass on light fixtures. Polish your bath tub, sink, and chrome fixtures, and consider replacing interior doorknobs. Clean the outside too… power-wash your deck or patio, remove mildew from siding on the shady side of your house, cut the grass, edge the sidewalks and beds. Replace non-working light bulbs, cracked window panes, broken hardware, leaking faucet washers; repair grout around your tubs, the latch on your fence, and anything else that needs fixing, no matter how minor. If there are major repairs or updates you can’t afford to do before selling, obtain a price estimate (or two) for having the work done and reduce your list price to accommodate them. If nothing else, make sure your front door area is “perfect” with fresh paint, lighting in good condition, a nice “welcome” mat, and new or polished door hardware. Neutralizing your home is an extension of the earlier suggestion to “simplify” so that prospective buyers can imagine themselves living in your home. Neutralizing your home begins with painting walls and trim a fresh neutral color and extends to other things such as eliminating odors from pets, exotic foods, or smoking. It also could mean replacing outdated olive green kitchen appliances or pink bathroom tile and fixtures… or removing religious symbols, collegiate memorabilia, and political signs. If you live in a condo that is sized and priced for empty-nesters, don’t scare them away with baby equipment and toys; confine it all to one room. Accessorizing is the final touch that will take your home across the finish line. It is the art of adding finishing touches, not unlike choosing the right jewelry or necktie to wear. Many women wouldn’t leave home without make-up, at least not for a special occasion, and this is a special occasion for your home. A stager may strategically arrange a trio of items on the bedside table you cleared during the “simplify” stage of preparation, lay a book open on a desk, or even partially assemble a jigsaw puzzle in a playroom. I recently staged the screened porch of a vacant home with a new rug, plants, and a table that was set for lunch to attract the buyer’s eyes beyond the vacant living room and dining room. From there, it was likely they would fall in love with the back yard. In many cases, I will recommend a professional stager. If all this sounds overwhelming to you, you’re not alone. Many home sellers simply don’t have the time or energy to do all this preparation. If that describes you, I can still sell your home… but you have to price it accordingly. The condition of your home is totally within your control and the decision to sell at a lower price is yours alone. This entry was posted on Wednesday, February 6th, 2013 at 1:02 am	and is filed under Crofton Real Estate. You can follow any responses to this entry through the RSS 2.0 feed. You can leave a response, or trackback from your own site.